Many thanks to Will for driving up to Newark on Sunday. We left on time and arrived pretty early: all rather surreal for me, really. A bit dithery ... time to think about setting up rather than just blitzing through with nothing to spare. Oh well .. maybe I'll get used to it. Journey was fine. Traffic was light. Unloading was easy. People were helpful, and Will seemed to have no problem parking once we had got the gear out. Kelham Hall we do as part of a package with Dave and the Lance & Longbow pitch, and Dave had the space all ready and waiting. 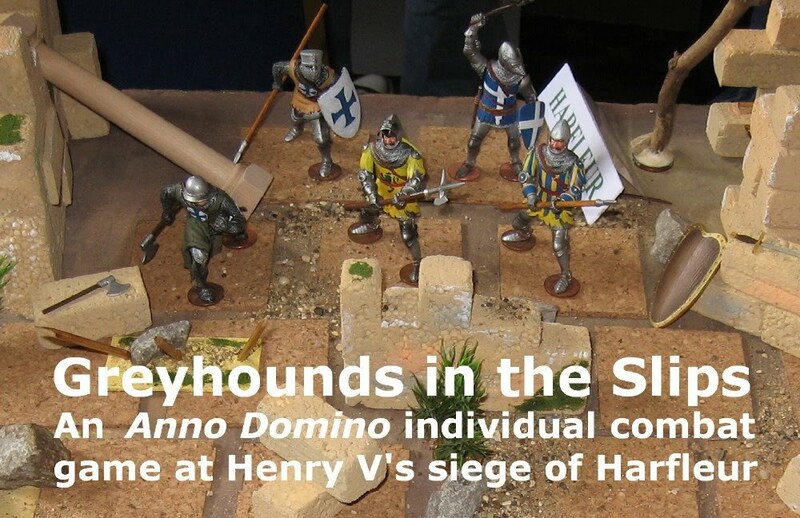 We filled it with the latest upgrade of Greyhounds in the Slips ... our Henry V take on Anno Domino. This now comes complete with a fistful of fine words borrowed from the bard. As happens every show, I explained that the figures are 90mm Revell 'toy shop' plastics. I think they look great - just right for Participation Games - but a bit pricey at £3.99 ... well actually, I think they are good value for that price, but its a bit more than I'd usually pay. That reticence disappeared when I discovered some on a clearance shelf at TK Maxx for 70p (and variously since then and elsewhere at between £1 and £1.65! ): at these prices they are a bargain, and I think the 20 figures I have cost £26, all told. That's a good starting point. I can well recommend keeping an eye out for these figures - they get discounted quite frequently. This is part of the Wargame Developments patch of course, and they always provide more challenging fare ..
And some of the 28mm stuff was inspiring. There was a Sudan game that featured quite a lot of sand (open space is quite unusual in a 28mm display - but is appropriate enough when you think about it ...) ... and, what drew my attention this year, a few ACW games. Meanwhile we ran half a dozen or so assaults on Harfleur ... in the first two games Henry went and got himself killed (which makes for a shorter play and sort of lets the French off the whole Agincourt experience) ... but thereafter he pulled himself together and boisterously hurled the French out of the breach with plenty of fine words left up his sleeves. We took a few memberships, too. So it all turned out OK in the end despite the worryingly early arrival - and consequent disorientation. Thanks very much to Newark Irregulars and Dave (DL Books) Lanchester for fixing us up as usual. Thanks also to the members who stopped by. Its always good to see you. Anno Domino is featured in the Society of Ancients booklet 'Let the Dominoes decide', available from the Society website (here ... ) for just £5.00 GBP if you missed it a few years back. The last of the late spring cluster of shows this year was Campaign - MKWS's unique show in the heart of shopping centre ...The Centre MK. Although quite a few wargame and military enthusiasts do attend, the majority of passers-by are ordinary members of the public. A great challenge, but a great opportunity. We teamed-up for a Society of Ancients led multi pitch zone, SoA, WD and the Naseby Project/Battlefields Trust. 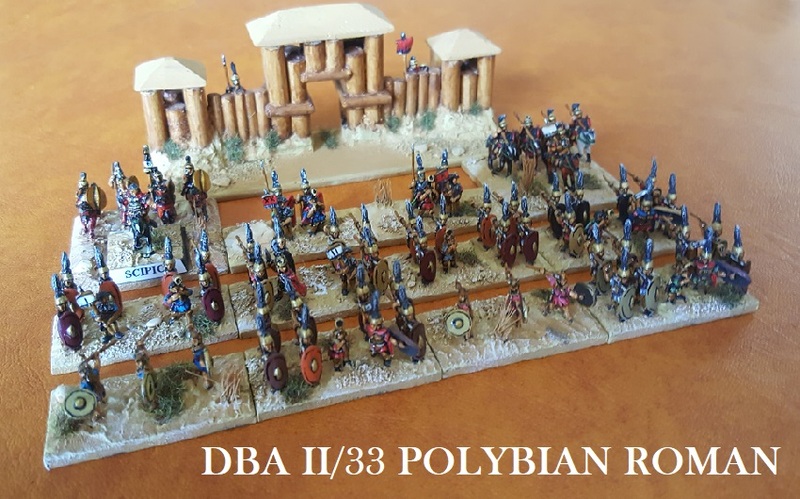 As SoA, we had 2 versions of Anno Domino, Graham E's brand new The Elephant In The Room (Velites skirmishing against a Carthaginian War Elephant) and (a compressed version of ) 'Greyhounds in the Slips', and the latest version of my Zama Workshop DDBA game. 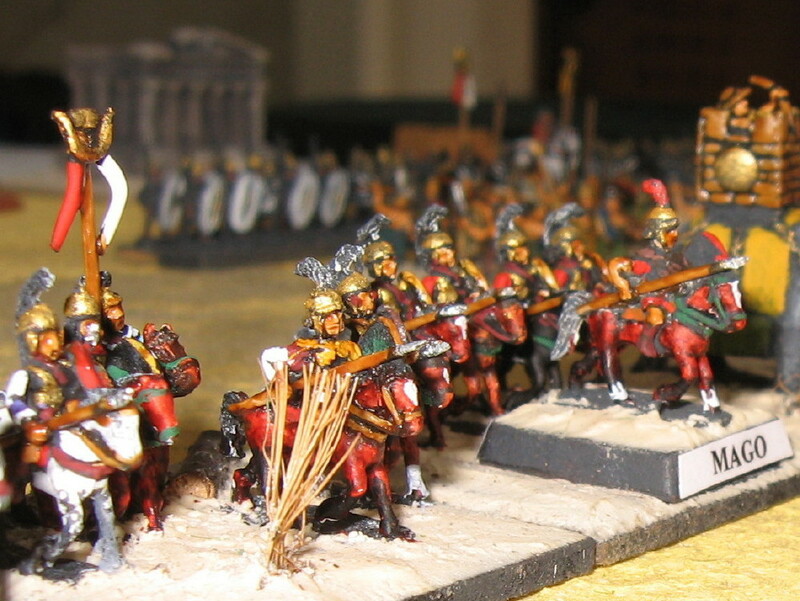 Away from our little zone, Campaign was the usual mix of game/wargame trade, national competition tables and displays. On the Saturday, Aylesbury reprised their Roman attack on a British hill fort. 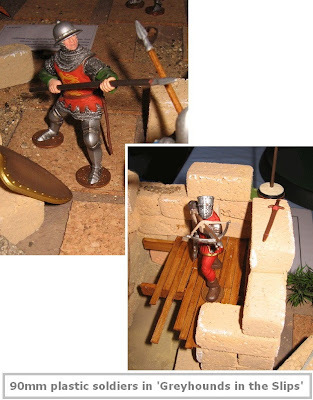 On the Sunday, I came across this excellent Lake Peipus game using Impetus - confirming, perhaps, that comment I made on the Salute entry re the diversity and quality of ancient/medieval games coming through at the moment. Thanks to all the SoA helpers (with me mostly seconded to the WD/BFT Naseby display, the manpower really helps) ... We had almost a full house on the Saturday ... variously Chris A, Graham E, Will, Graham and Alison Fordham (and Tamara), and Ian Lowell. Thank you all. Thanks to MKWS for an event which continues to be a highlight. Apologies to anyone who has had problems with the Triples/DBA Cup page I added a few days ago. Hopefully it is now correct, and will stop apearing and disappearing. Not my fault: Blogger seems to be going through one of its eratic phases (not putting on the page what you enter on the compsition template). It wastes a lot of time. Frankly, Blogger, Wordpress is much better in that respect! We are at Campaign, Milton Keynes over the weekend. Hopefully you'll be able to drop by.